Have you ever realized that as we grow older (and wiser! ), the joy of receiving socks as gifts grows exponentially… Don’t you agree?! 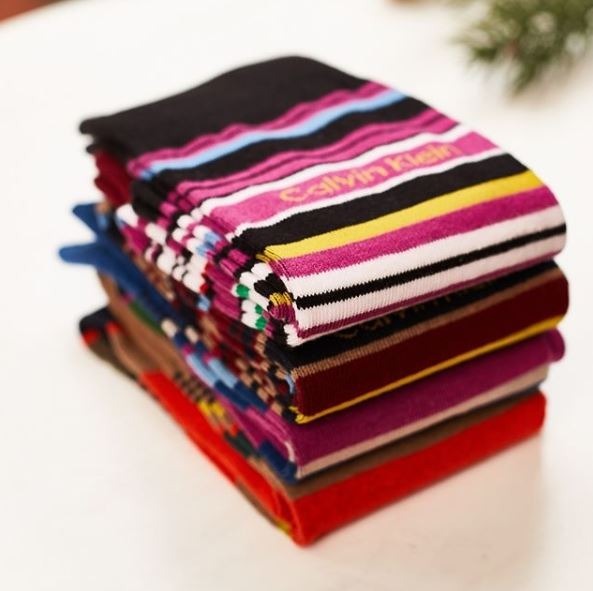 These colorful Calvin Klein socks from Men’s Wearhouse are perfect for the hip (and not so hip) men in your life. New car not in the cards for dad this year? Make his car look as if it were brand new with a surprise visit to Irving’s Detailing Salon. They’re running a holiday special where you can get a hand wash, wax, & vacuum for $34 (valued at $65)! Call Irving’s at (757) 333-7854 to make an appointment. 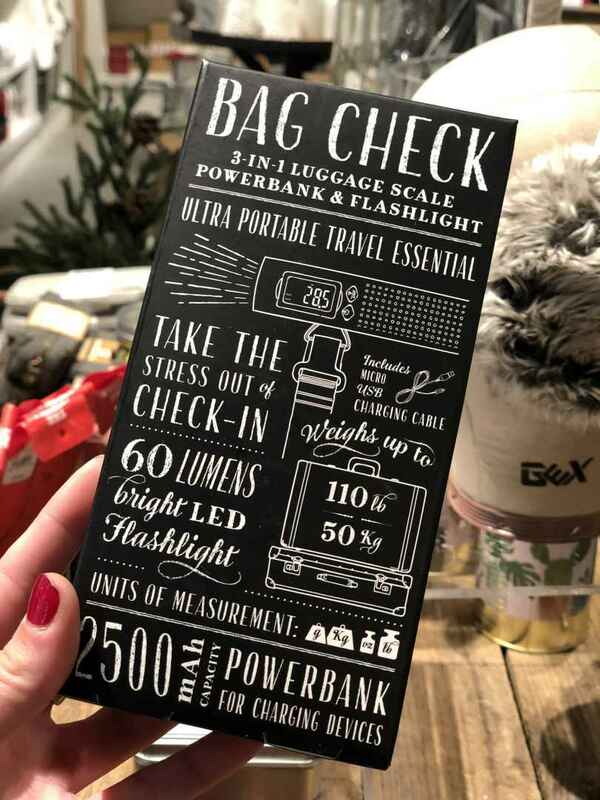 Tuck this handy Bag Check pack from Pottery Barn into his stocking this year. This tiny tool does it all, functioning as a luggage scale, power bank and LED flashlight! 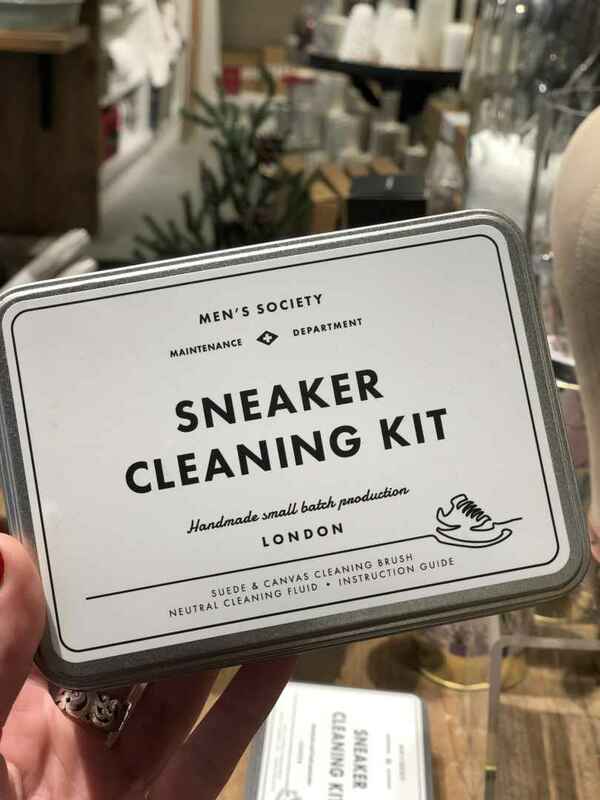 Our beloved sneakers need some TLC every once and a while. Thanks to Pottery Barn, now everything we need comes in one compact kit! Putt, Chip, and Sip! 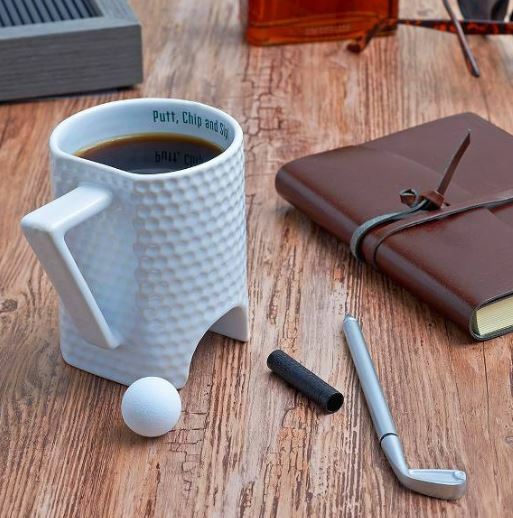 Transport him to the green and relieve the stresses of the day as he putts, chips, and most importantly, sips on his favorite beverage! Grab this mug at Paper Source. 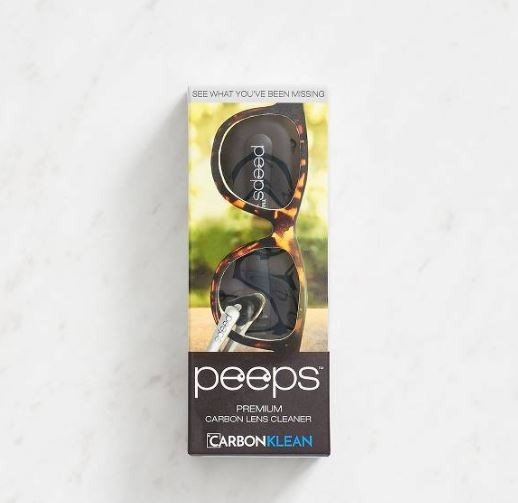 This carbon eyeglass cleaner from Paper Source will leave the inside and outside of his lenses smudge (and oil-free) every time. This stocking stuffer is definitely selling fast so we recommend grabbing one soon! What man in your life wouldn’t enjoy delicious food and beer! Grab a gift card from any of our delicious restaurants and he’s sure to love you for it. Is he a bookworm? 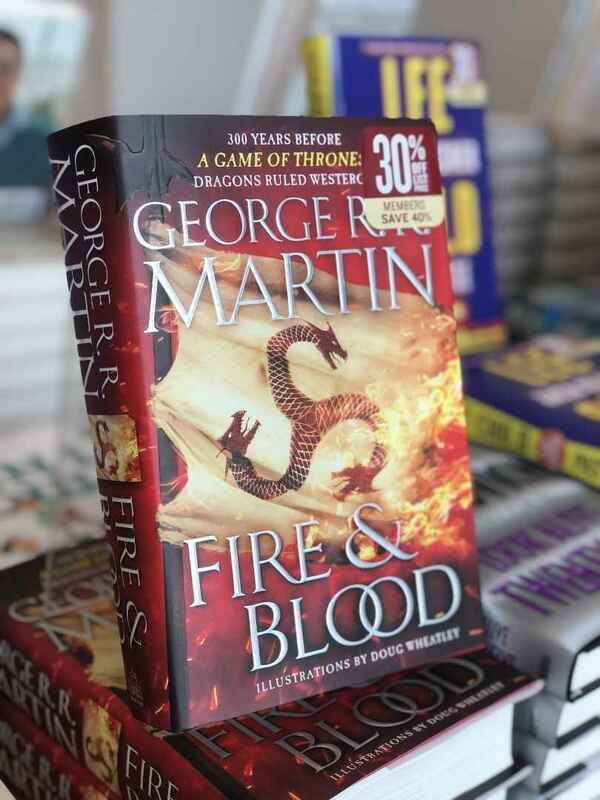 Stop by our Barnes & Noble holiday pop up and look through their selection of this year’s newest and hottest releases!